Is a Riverside Bankruptcy looming on the horizon for Riverside? In the wake of Stockton’s Bankruptcy Chapter 9 and the San Bernardino Bankruptcy filed just this morning, also a chapter 9, who’s next? My inquiry is simple, if Riverside’s next door neighbor, San Bernardino, can file a bankruptcy and restructure its debts and contracts, how much does it owe to Riverside as a creditor? Riverside Bankruptcies are about to start flowing like opening a vein. 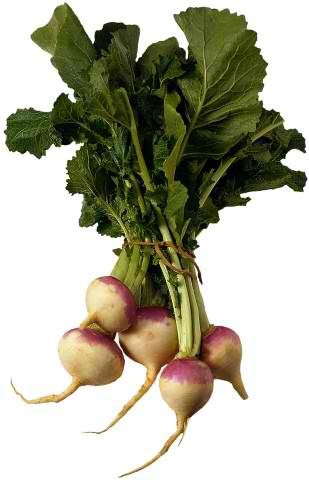 You’ve heard that you can’t squeeze blood from a turnip, but I’ve learned from my bankruptcy practice of 16 years, sometimes you eat the turnip. If you’re a turnip, how do you prevent creditors from eating you? Bankruptcy is your pesticide. Now that San Bernardino is going to refuse to pay many of its vendors, contractors and creditors, many of them are going to have to file bankruptcy. People who did contract work for the city installing infrastructure on a contract basis or who work for San Bernardino but live in Riverside are going to feel the pinch. City workers are going to be the biggest losers in this. Even though they do most of the best work for the city, who else does the city have to cut. Furlough days are coming, pay cuts and pension restructuring as much as they can get away with. However, there is good news, Chapter 9 Bankruptcy is not nearly as nice as the other chapters are to individuals. Bankruptcy gives individuals fresh starts but a city / municipality, how much of a fresh start do they need? Not as much. This is a case where you can fight city hall. Thankfully the unions will do most of that fighting for you and you’ll be happier you’re in a union than ever. Still the ultimate defaults will be rampant. If you end up having to file bankruptcy because you were owed money by San Bernardino and/or you work for San Bernardino and San Bernardino’s Bankruptcy cuts your pay or your job, call me, David L Nelson, Bankruptcy Attorney and I’ll make sure to give you my widows and orphans price for your bankruptcy. This entry was posted in chapter 9, San Bernardino Bankruptcy, Uncategorized and tagged blood from a turnip, fight city hall, riverside bankruptcy, San Bernardino Bankruptcy, widows and orphans, you can't squeeze blood from a turnip. Bookmark the permalink.